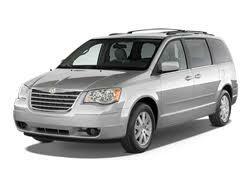 Welcome to the Chrysler page on NavigationUpdates.com. Here, you can find the latest reviews, and coupon codes in the top right corner of this website for Chrysler Navigation Map Updates for your vehicle from the Chrysler Navigation Center at Navigation.com. Get FREE SHIPPING on all Chrysler Map Updates. Offer good through December 31, 2017. This FCA Uconnect link provides an excellent interactive overview of how the system works. Keeping your navigation system current is critical for maximum performance, safety, and fuel economy. Visit the Chrysler Navigation Center for the latest map updates for your vehicle. Have more questions? Click here, select your make and model to access the official Chrysler FAQ site about your navigation system. Order your Chrysler Navigation Map Update DVD Today! Just wanted to check..what year is the latest update, and when is the next update expected to be released? As a NAVTEQ data partner and distributor, we know they update the road & street data quarterly. We don't know when a new release is coming out specifically for the Chrysler Town & Country. We suggest you contact NAVTEQ directly at 1-866-4NAVTEQ (866-462-8837) for more details. We are an independent 3rd party marketing affiliate and not NAVTEQ or Chrysler. We just recently launched this site less than 1 week ago, so we do not yet have many reviews yet, but we add more all the time. After a web search, we found this link http://www.chrysler.com/en/owners/mygig/ (now posted above). If this is not the in-dash console you have, I suggest you consult your owners manual, or contact local Chrysler dealer for instructions. It is likely just a matter of swapping out a new DVD in the console. If anyone does find navigation update installation instructions online, please let us know and we will post it on this page. Thanks!